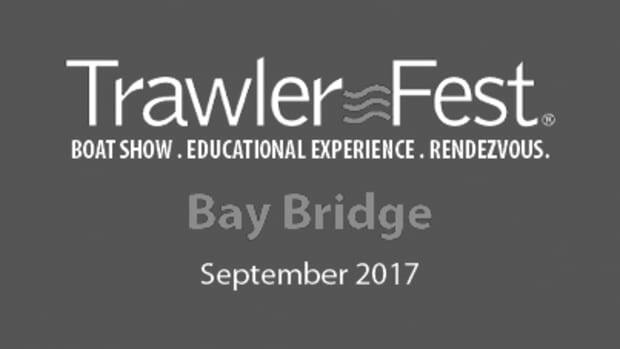 TrawlerFest Bay Bridge Seminars begin in Tuesday, Sept. 26, with the In-Water Boat Show opening on Thursday, Sept. 28. 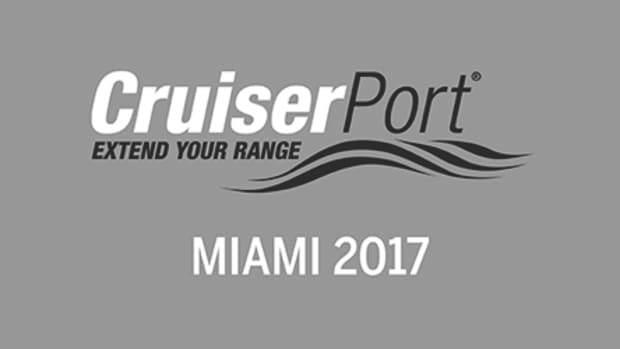 For information on the In-Water Boat Show, please click here. 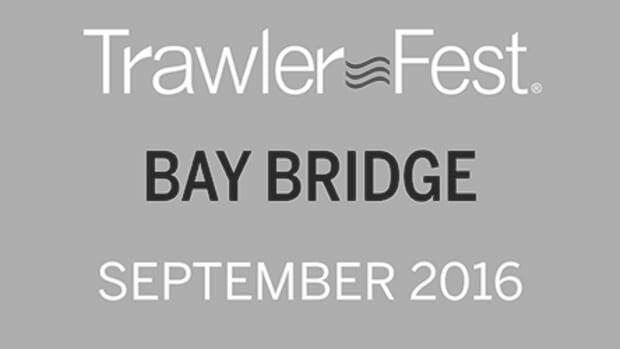 All seminars will be held onsite at Bay Bridge Marina. Please contact Megan at (410) 990-9086 ext. 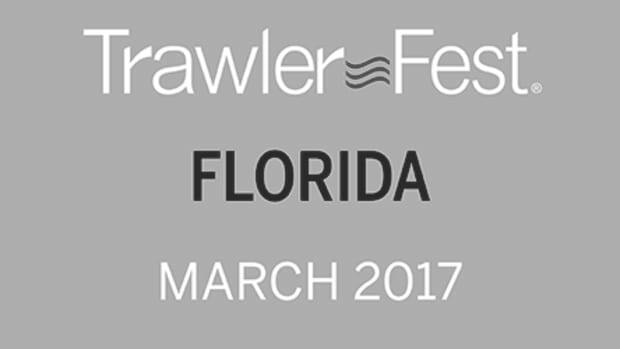 22 or trawlerfest@passagemaker.com with questions. For the best value on seminars, consider one of our VIP package! To view the schedule larger, please click here. This is not the only diesel engine course for boaters, but it is the only diesel engine course for boaters taught by renown author/researcher Nigel Calder and veteran boatbuilder and yard operator Steve Zimmerman. Calder is PassageMaker magazine’s technical editor, while Zimmerman writes a regular column called “Troubleshooter.” It is also worthy of note that unlike most other engine instructors both Calder and Zimmerman are real-deal cruisers, who bring this perspective to the curriculum. This two-day session combines classroom time with hands-on engine time in the shop. It also combines theory and practical troubleshooting instruction, and it does so with a touch of humor to keep things lively. PARTY/CEREMONY: Attendees and spouses are welcome to a “graduation” party at 5:00 p.m. after Wednesday’s session, during which certificates of completion will be awarded, and a good time will be had. In some cases, the certificate of completion may help attendees save money on their boat insurance. Are you a regular passenger on your family or friend&apos;s boat? Looking to join your spouse on boating adventures? This seminar provides on overview of what you need to know. Boaters who circumnavigate the East Coast of U.S., using the Hudson River, Erie Canal, Great Lakes, Mississippi River and Intracoastal Waterway are called “Loopers” for having completed “The Great Loop.” Kim Russo, executive director of the America’s Great Loop Cruisers’ Association, will give a detailed briefing with plenty of time to answer questions. She will also address which boats are most suitable and how to budget. Everything You Need To Know About Diesel Engines, Day 2. This course, combined with “Boat Handling on the Water” will develop skills in close quarters maneuvering and docking, not to mention the confidence gained from having been taught by some of the very best instructors in the business. 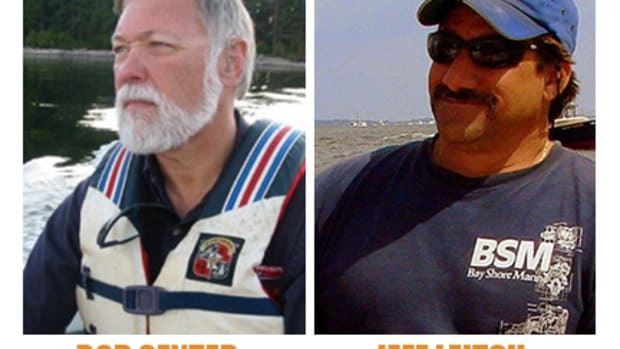 Bob Sweet is the author of several marine titles including Powerboat Handling Illustrated and The Instant Handbook of Boat Handling, Navigation and Seamanship. Wednesday morning is all class time followed by six on-the-water sessions (SEPARATE REGISTRATION REQUIRED). The certificate of completion awarded to attendees may help save some money on their boat insurance. A standing joke in the cruising community goes like this: He may be the captain, but she is the admiral, because if mama ain’t happy, ain’t nobody happy. Or something like that. Besides the obvious, that Alyse Caldwell, Becky Fickett and the rest of the panel are all female, there is more to it. All have cruised but with distinctly different experiences. This seminar is for women who think they may want to go cruising or who have only recently entered into the cruising lifestyle and have a wide range of questions best answered by other women, and, alas, without any men in the room. Heading south for the winter? This seminar will get you where you want to go. Captains Chris & Alyse Caldwell can help you plot your course along the Atlantic Intracoastal Waterway from the Chesapeake Bay through mile marker zero in Norfolk, Va., all the way to the Florida Keys. Learn a few tips to keep you in the deeper channel and off the sandbars from experienced cruisers who traveled the route in many different size trawlers- with as deep as a 7 foot draft. There are details to explore such as tide, currents and drawbridges that are specific to cruising the Atlantic coast. Here’s a peek at where you may travel when it’s your turn to live the dream. Are you worried about your anchor dragging or have you heard anchor horror stories from your boating buddies? Captain Chris Caldwell will have a hands-on demonstration to put your mind at ease. Learn about which anchors are right for the sea floor conditions and why. Different types of anchors, how much scope and when you may select chain vs. rope are some topics we’ll explore. Join this interactive presentation and we promise you won’t have to clean mud off the deck. Even when it goes well, buying a boat can be a stressful process. The idea behind this eight-hour seminar is to arm buyers with the information they need to minimize frustration and unnecessary expense. There are six “team teach” instructors, with individual presentations and a group panel session at the end of the second morning. The theme of the first morning is “nuts & bolts,” leading off with the first decision a prospective buyer of a cruising boat must make. That is, what kind of cruiser you plan to be and therefore which hull design, because, as boatbuilder Steve Zimmerman will argue, hull form matters. Then boatbuilder Ken Fickett will explain fiberglass boat construction, coring and how to discern between good and bad. Steve than dons his surveyor cap and discusses how to choose the right surveyor and his or her proper role. The theme on morning two is “the fine print,” and it begins with yacht broker Vin Petrella on how to choose the right yacht broker and the elements of a good sales contract. Insurance veteran Cary Wiener follows with a behind-the-scenes look at marine insurance and the elements of a good cruising policy. Topics will include navigation territories, coverages, claims liability coverages, international medical coverage, north/south restrictions, named windstorm deductibles and the differences between the agreed value and actual cash value policies. Maritime Attorney Todd Lochner then cautions buyers on the intricacies of local tax laws for East Coast cruisers. Cruising is no fun without a good dinghy and outboard, yet the choice of dinghy is too often an afterthought and without a working knowledge of how to fix them, life with outboard motors can be a pain in the neck. Longtime live aboard and trainer, Chris Caldwell shares tricks and tips and briefs attendees on the pros and cons of different dinghy types, maintenance and troubleshooting. He will be joined by a Chesapeake Bay technician, who will disassemble, clean and reassemble a carburetor in real time for the class. First of all, let us say what this seminar is not about. It’s not about advocating for or opposing guns aboard cruising boats. 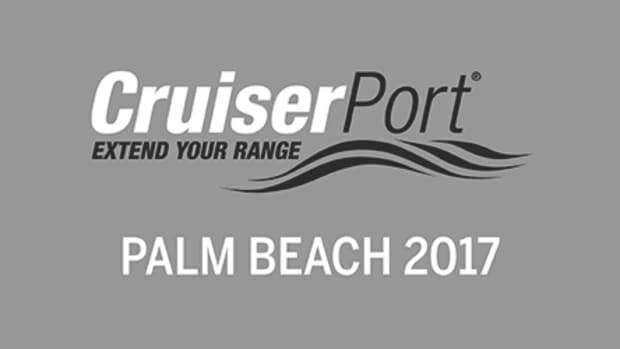 This seminar is for the coastal cruiser who has already decided to carry guns or is leaning toward that decision. The fact is anyone who cruises the East Coast between Canada and the Caribbean will pass through multiple jurisdictions whose gun laws vary wildly. What is legal in Georgia might very well result in serious legal consequences in Massachusetts or Puerto Rico. This seminar identifies the places that can cause problems for even the most conscientious armed cruiser. Presenters Todd Lochner and Greg Singer, who practice law in Annapolis, specialize in maritime law. Attendees will receive a bridge card-style hand-out, which breaks down the differences in laws in an easy to understand format. As a bonus, combat veteran and security expert Steve Ross will provide an overview of non-lethal ammunition and other alternatives. Learn what to expect from contract to commissioning. Larry Polster, Vice President of Kadey-Krogen Yachts, who is also nearing the end of his own new build with his wife, will share his experience being the customer. What questions should you ask? Where do you find plumbing fixtures and fabrics for a boat? How soon should you think about electronics? This seminar is for both of you. Devin Zwick is a hard charging delivery skipper for Nordhavn, and he’s been up and down the East and West coasts more times than he can count. What’s more, Zwick has just recently completed another transit of the Panama Canal. Zwick will share the tips, tricks and strategies to make passages south and west as safe, comfortable and as much fun as possible. Everyone touts the virtues of simplicity, but nowadays this idea is rarely achieved. A veteran cruiser under both sail and power with countless sea miles, John Clayman brings decades of experience in the design, construction, and marketing of cruising boats to Seaton Yachts. As president at Seaton, Clayman wrestles with the conundrum of complexity versus simplicity on a regular basis. This talk follows the debate down through the decades from Beebe’s design of the original Passagemaker to the trawlers of today. If you are considering buying a new boat or refitting your old one, this is the seminar to develop a healthy mindset and maybe even save a few bucks. Forget anything you may have seen in Robert Redford’s movie “Lost.” Surviving a crisis at sea happens because of preparation, the right gear, seamanship skills and a good attitude. 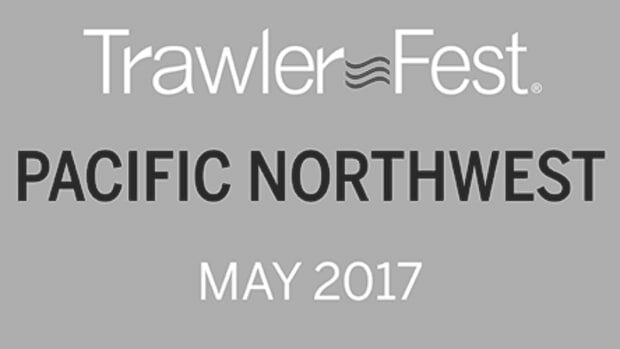 Among the topics that trainer Bob Arrington and Nordhavn yacht broker Ben Sprague will discuss are: heaving to, storm anchors, drogues, ditch bags and communicating with rescuers. Brian Kinsella of Viking Liferafts will focus on liferafts, one of which will be deployed during class. Sprague brings his own unique insight. When he and fellow crewmembers tried to abandon ship during an Atlantic Ocean passage in 1978, their liferaft blew away. They spent days in a dinghy until rescued by a Cuban freighter. For à la carte attendees, this seminar pairs well with “First Aid & Emergency Preparedness at Sea.” Certificate of completion. Marine author/illustrator Bob Sweet and Furuno Senior Product Manager Eric Kunz will discuss the recent and rapid rise of solid-state multi-frequency radar and the demise of pulse technology originally developed during the Battle of Britain, and what this means for today’s radar consumers and operators. They will share navigation techniques and how to get the most from today’s modern multi-function displays, regardless of brand. Do we still need to carry paper charts? Certificate of completion. So, you want to buy a boat?Learn what you should look for before making an offer and hiring a marine surveyor. A dream of the perfect cruising boat can be crushed when its surveyed, but some of those deal-killers could have been detected early were it not for the fact that buying a boat is rarely a rational decision; we are often lead by our hearts. Our presenter will explain the ways in which buyers can slow down and take a look at the boat with the rose-colored glasses off. He will cover how to inspect hoses, valves, wiring mistakes, and signs of structural damage. There will be many photos of examples of what to look for. Attendees will be given a check list to follow for their inspection. Over the years and through his experiences on hundreds of trawlers, yacht broker Jeff Merrill has amassed a collection of “good ideas” and “best practices” that trawler owners are using to better monitor their vessels. These simple and effective techniques apply to most power cruising boats. Tricks of the trade and helpful reminders will help take some of the guesswork out of tracking various systems and equipment on board your trawler. Little details like reference marks for needles on analog gauges, a dry-erase board in your engine room, anchor chain marking and many other common-sense tips make this an engaging and informative seminar that you won’t want to miss. Merrill will share photos of these ideas and also discuss an assortment of products that you should consider using on your trawler that will not only make your life more enjoyable, but may also favorably affect your eventual resale value. Like most our presenters, weatherman Chris Parker spent years cruising down island. Parker’s lively and informative seminar is aimed at any one who wants the knowledge to make their own passage decisions with whatever information is available, including GRIB patterns and various forecast delivery services. 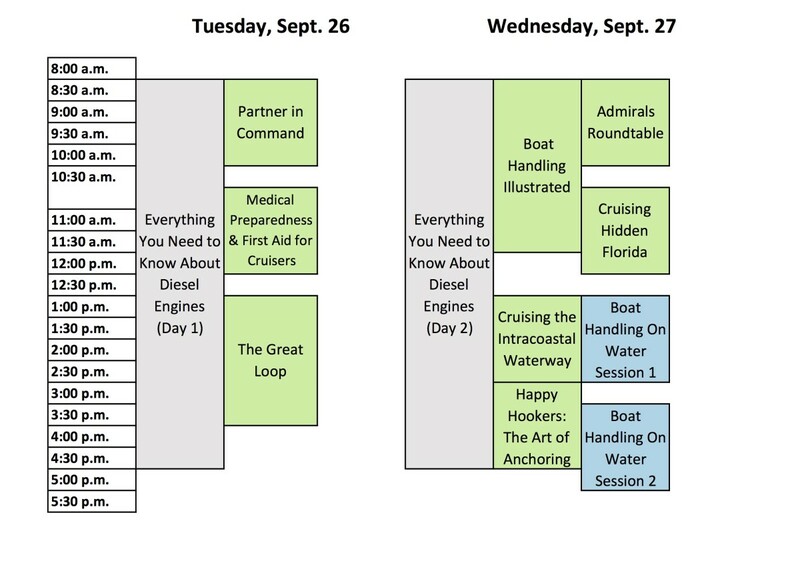 This is a chance for cruisers at every level of experience to hear from a wide variety of veteran mariners, all of come at cruising and passagemaking from somewhat different perspectives. From keel to cabin top and seacocks to sealants, this class will provide in depth instruction on how to maintain your boat. Addison Chan is a veteran Canadian cruiser and founder of the Facebook public group Cuba, Land And Sea, an excellent clearinghouse of up-to-date information about cruising Cuba and shoreside amenities. Chan also contributes to the latest Waterway Guide on Cuba and he has recently completed a "Cuba-Bahamas Loop." He will be joined on the panel by Peter Swanson of AIM Marine and maritime attorneys Todd Lochner and Greg Singer to brief attendees on the current state of U.S. law under the Trump administration. 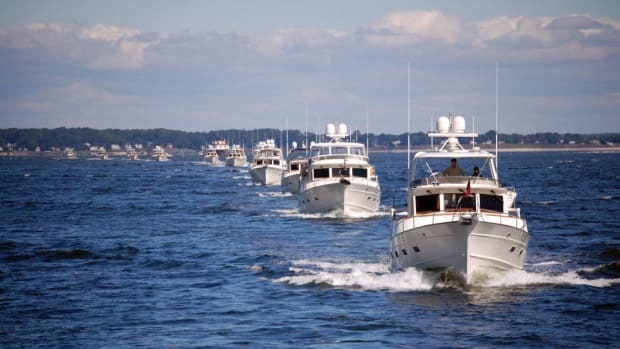 With almost 12,000 miles of shoreline and covering nearly 4,500 square miles, Chesapeake Bay is a cruiser’s wonderland. It’s so big, in fact, that boaters are often intimidated when they try to plan Bay cruising itinerary that fits their time schedule. Others worry about what to see and do in and around the Bay. A lifelong Bay cruiser, angler, and local fresh seafood aficionado, Gary Reich has 40 years of experience in exploring the Chesapeake’s multitude of tributaries, as well as the many ports of call along the way. In this presentation, Reich will discuss the best way to go about planning a Bay cruise so that you get the most out of your time on this spectacular estuary. He’ll not only cover the well-known and popular spots to visit, but will also talk about some beautiful places that are more off-the-grid, so to say. Popular Bay pastimes that cruisers can enjoy, such as crabbing and fishing, will be discussed, as will where you can find the best local dining scenes. Traveling between ports requires understanding and knowledge of some fundamental skills to ensure a safe trip. This three hour course is designed to be both an introduction and a refresher for owner operators and their crew. Yacht broker and all-around boat guy, Jeff Merrill will cover basics of weather forecasting, route planning, watch standing, engine room checks, pilothouse navigation/electronics operations, and much more. If you are interested in transiting between sea ports for overnight passages on your trawler this course will review the essential preparations required. Merrill has logged more than 14,000 miles offshore on trawlers and has spent the majority of that time training with clients on systems teaching them how to manage and operate their boats. His talk includes photos and illustrations and examples of checklists.